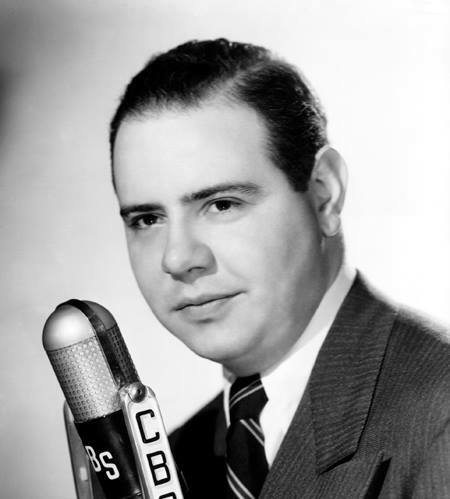 Jackson Beck (July 23, 1912 – July 28, 2004) was an American actor best known as the announcer on radio's The Adventures of Superman and the voice of Bluto in the Famous era Popeye theatrical shorts. Beck's early radio experience included work at WINS and WHN, both in New York City. Beginning in 1931, he worked with Myrt and Marge, among other roles. In 1934, he was the announcer for The Adventures of Babe Ruth on the radio. 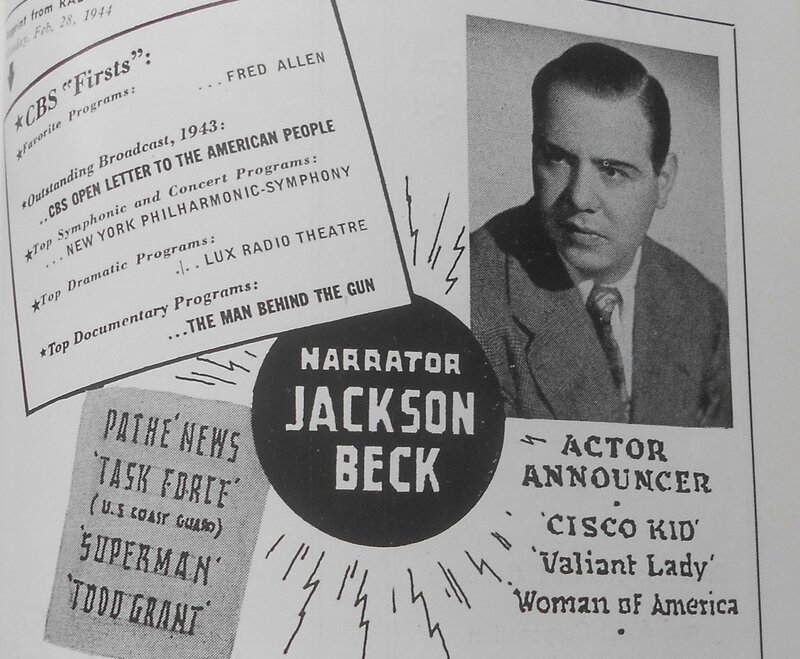 In 1943, he took over as narrator of radio's The Adventures of Superman; it was Beck who intoned the familiar prologue "strange visitor from another planet..." He also had recurring roles, voicing an occasional tough guy and also portraying Beany Martin, the Daily Planet's teenage copy boy. On Superman episodes featuring Batman, he played Bruce Wayne's butler, Alfred Pennyworth. He also impersonated Joseph Stalin and other world leaders for The March of Time radio series, starred as The Cisco Kid on radio from 1942 to 1945 and sleuth Philo Vance in a syndicated series from 1948 to 1950, starred in the dramatic anthology Brownstone Theater on Mutual, and served as narrator for the radio adventures of Tom Corbett, Space Cadet. On Television, Beck portrayed Perry White, Clark Kent's boss in Filmation's The New Adventures of Superman animated series and was narrator as well. He was the announcer for the first season of Tom Corbett, Space Cadet on television. 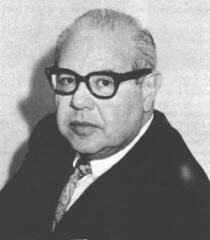 On Film, Beck dubbed the English voice of the judge listing Tuco's many crimes before sentencing him to death by hanging in The Good, the Bad and the Ugly, and used his deep, dramatic, modulated voice as the narrator of Woody Allen's Take the Money and Run in 1969. He also narrated the cult comedy film Cry Uncle! in 1971, and was one of the players in National Lampoon's first comedy album Radio Dinner in 1972. He was prominent as well in Allen's 1987 film Radio Days, dubbing the voice of the on-the-spot newsman. 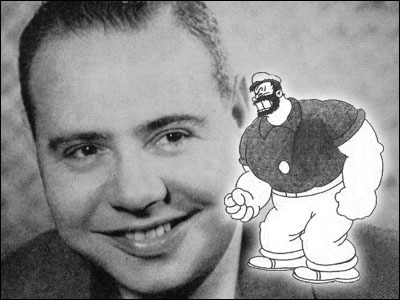 Catroon fans, may know his voice as Bluto in the Popeye cartoons, Little Lulu's father, the fox in the Baby Huey cartoons, and Buzzy the Crow, who was a foil for Katnip the Cat in a number of cartoons. Beck used a black dialect for the voice of Buzzy. He was also the voice of King Leonardo in the 1960s TV cartoon series of the same name. He also had a part in the Peanuts 1977 film Race for Your Life, Charlie Brown as the snickering cat, Brutus. He narrated the 1980s G.I. Joe animated TV series. His other voice work included network TV promos (he did a series of promos for NBC's NFL coverage for much of the 1980s), narration for sketches on Saturday Night Live, movie trailers, and commercials for everything from toys to shampoo (one of Beck's very last commercials was for Infusium Shampoo) He would be 105 years old if alive today! He appeared in 52 episodes of Radio Mystery Theater. Spoiler : This voice actor starred as The Cisco Kid, sleuth Philo Vance and had several supporting roles on The Adventures of Superman. Spoiler : Beck, Jackson Born in New York City 7/23/1912; died 7/28/2004 from complications of a series of strokes at his apartment in Manhattan, New York. He was the son of Max Beck, a silent screen star. Jackson began his radio career in 1931, was on New York stations WINS and WHN, working as an announcer and actor. 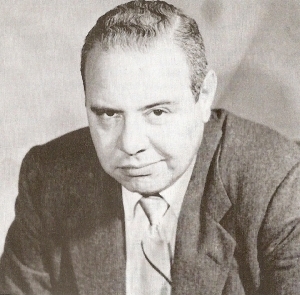 In 1937, he was one of the founders of the American Federation of Radio Artists, which later became the American Federation of Television and Radio Artists, and over the years held numerous offices in the New York local, including president, as well serving as first vice president of AFTRA national. Spoiler : Bluto on Popeye The Sailor for the NBC and CBS Radio Networks (1935-1938). Druggist on The Timid Soul for Mutual (1941-1942). One of two narrators for Man Behind the Gun on CBS-Radio (1942-1944). Cisco on the Cisco Kid for Mutual-Radio (1942-1945). One of two actors to play Tank Tinker on Hop Harrigan for the NBC-BLUE, ABC and Mutual Radio Networks (1942-1948). Whizer on The Busy Mr. Bingle for Mutual (1943). Joe on Joe and Ethel Turp for CBS-Radio (1943).Emilio Prieto on the NBC-Radio soap, A Woman of America (1943-46). One of two actors to play Captain Logan on Casey, Crime Photographer for CBS-Radio (1943-1950). 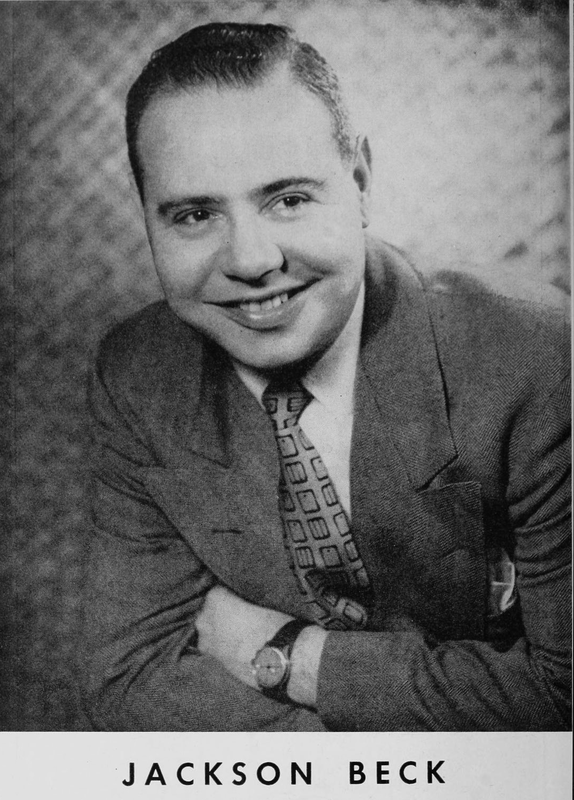 Announcer-narrator for The Adventures Of Superman on the Mutual and ABC Radio Networks (1943-1951). Announcer, and provided voices for Happy Island on ABC-Radio (1944-1945). Vance on the syndicated radio program, Philo Vance (1948-50). Gregory Hood on The Case Book of Gregory Hood for Mutual-Radio (1949). Spoiler : Announcer for radio shows including The Clyde Beatty Show on Mutual (1950); one of two announcers for Mark Trail on Mutual (1950-1951). Regular performer on radio programs including The Jack Pepper Show for CBS (1944); Happy Island for ABC (1944-1945); FBI in Peace And War for CBS (1944-1958); The Brownstone Theater for Mutual (1945); syndicated program, Five Minute Mysteries (1946); The Milton Berle Show for NBC (1948-1949); The Joe DiMaggio Show for CBS (1949-1950); Tom Corbett, Space Cadet for the CBS, ABC, NBC and DuMont television networks (1950-1955); ABC-Radio (1952). Spoiler : Panelist on Charade Quiz for DuMont-TV (1947-1949). Bluto (Brutus) on the animated King Features syndicated television series, Popeye (1958-1963). Willie Saffire on the CBS-TV soap, The Edge Of Night (1968-1969). Provided his voice for characters in many animated television series from the 1950s to the late 1980s. Narrator of Lifeline on NBC-TV (1978). Commericial announcer for many products on radio and television including Revelon, Eterna 27, Ex-Lax and Willys Jeep. 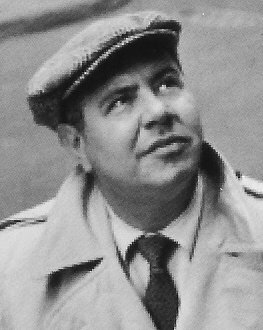 For the last 20 years of his life, he was spokesman and voice of Cesar, Jr. on the Little Caesar's Pizza commercials.